Home › Combatants › Sigma Frigate & Corvette › Sigma Frigate 10513 › Sigma Frigate 10513 "Sultan Moulay Ismail"
On March 10, 2012 the second of three frigates for the Royal Moroccan Navy was transferred to Rear Admiral Mohamed Laghmari, Commander in Chief of the Royal Moroccan Navy. 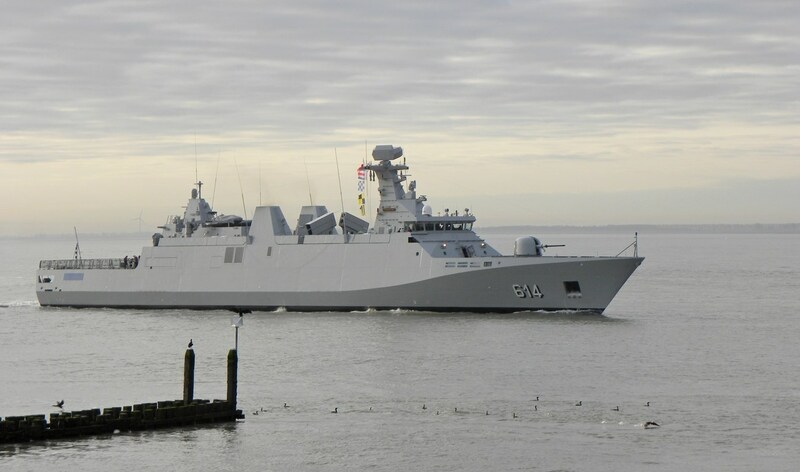 The SIGMA class frigates are equipped to conduct traditional naval tasks as well as maritime security operations. The vessels are also suited to support humanitarian aid operations.